Birth of Beauty is a great company that sells hair brushes, blow dryers, flat irons, and much more. I have had the same brush for about 15 years (I kid you not! Also, I am only 20). The reason for that is because I could never find a brush that I actually liked. Well, I jut received this Denman brush for review on my blog and love it! Bye bye old hair brush! It seems to be great quality and is firm enough to go right through my hair which is amazing. This line of brushes retails for around $11-19. This may be a higher cost than the cheap drugstore hair brushes that I have been looking at but it is one that will actually last me a long time. I absolutely love it! Also, I was sent a couple travel brushes with a mirror and a red metallic one! 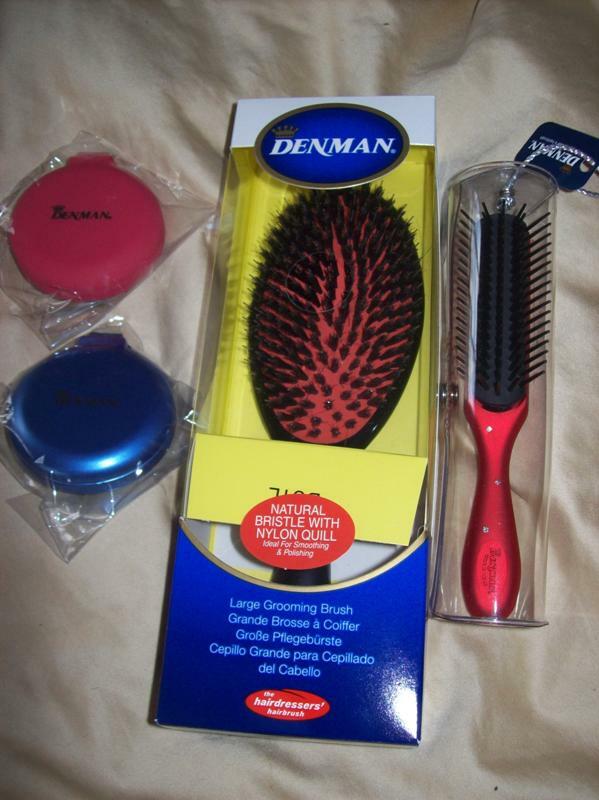 These are great too to keep in your car or an office desk when you need to touch up your hair really quick. This company sells so many high quality, affordable hair products! You must check it out. Thanks Birth of Beauty. My daughter has long, thick hair (she didn't get it from me) anywho...Will give it a try.